Protected cropping can increase orchard productivity; however, enclosed environments can be disruptive to pollinators. Bumble bees (Bombus terrestris) forage under covers, but industries lack guidelines for using them as pollinators. Here conservative stocking rates for bumble bees in covered kiwifruit orchards were identified using empirical manipulation of bee density and theoretical calculations based on bee behaviour. 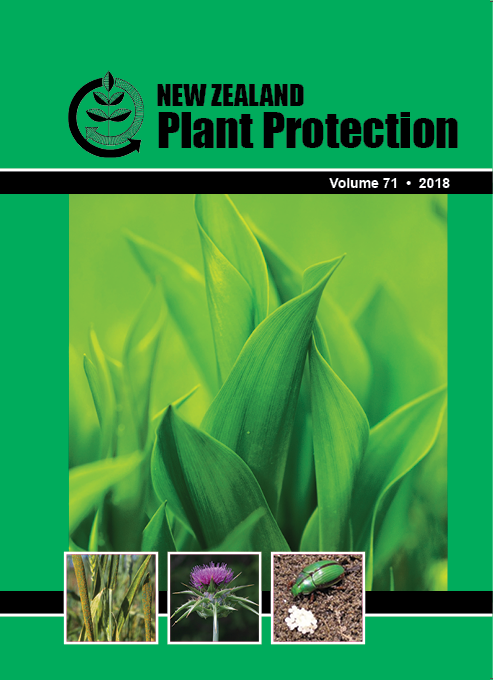 Bumble bee pollination at two bee densities (24 and 72 colonies/ha) was assessed within two fully netted sections (1/25 ha each) in a Gold3 kiwifruit orchard. Predictive modelling was used to estimate total bees required for pollination while actual pollination in the two blocks was measured directly. There was no difference in flower visitation rate between stocking densities but a 20% increase in seed set was found at high bee density. It was estimated that 90% of a Gold3 crop could be pollinated by 914 foraging bees/ha, or between 22 and 48 colonies/ha at the strengths used in this study. Bumble bees are effective pollinators in protected cropping environments and provide a viable tool for managed pollination under nets. A theoretical approach to refining stocking rates is a good option when manipulating pollinator densities is not possible.